Stretch marks appear due to large amounts of cortisone present in the skin. The elastic fibres in the dermis are weakened by cortisone. Due to the constant stretching of the skin, the layer tears which causes a mark to form in the middle layer of the skin. There are a number of reasons for the stretching of the skin like pregnancy, dramatic weight loss or gain, having a family history of stretch marks, using corticosteroid medication, etc. During adolescence, teenagers undergo a growth spurt which may cause the marks. Genetic disorders like Cushing’s Syndrome or Marfan Syndrome increase the likelihood of developing stretch marks. 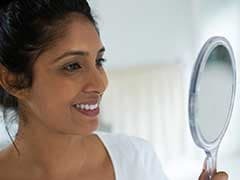 In recent times, several methods have been introduced to help fade away or completely remove these marks like medical procedures and prescriptions. But home remedies are the safest and most effective. 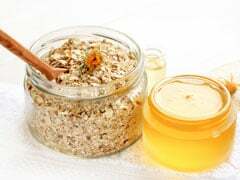 "The application of essential fatty acid oils and coconut oils can be effective if they are applied at the time of the formation of the marks. Initially they are pink, then red, soon they become yellow and finally white. The trick is to catch them young, when they are pink or red, and prevent them for damaging the skin any further," says Dr. Bhardwaj. Coconut oil is used to dull the scars and has proven to be quite useful. It has great moisturising properties and improves the overall health of the skin. It’s anti-fungal, anti-inflammatory, anti-viral and anti-microbial qualities get absorbed by the skin and heal it. The irritation caused during pregnancy can be reduced by the application of the oil. It nourishes the damaged skin and strengthens its cell walls. Coconut oil contains vitamins like Vitamin E, which heals the dermis, and Vitamin K that removes the damaged and dead cells. • Take a few drops of coconut oil and massage it on the affected area. • Wait for a while for it to be assimilated by the skin. 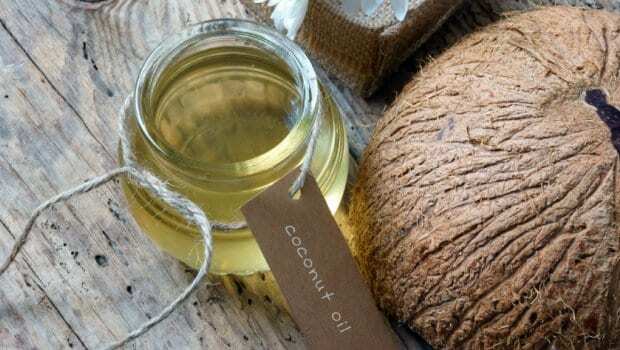 • Take and blend equal amounts of coconut oil and castor oil. • Rub it on the affected area. • Wait for a while for it to be absorbed. • Take 2 tablespoons of coconut oil and blend it with 1 teaspoon of turmeric oil. • Rub the blend on top of the scars. • Wash it with water after 15 minutes. • Add an extra teaspoon of lemon juice for additional benefits. 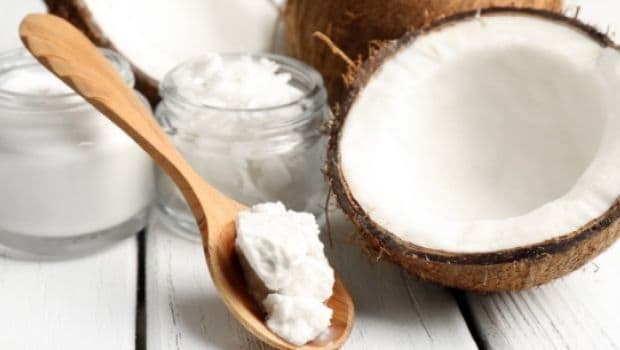 • Take half a cup of coconut oil and blend it with one cup of salt and sugar each. • Rub the paste on the marks for 5 minutes and wait for 10 minutes for it to settle. • Wash it and dry it off soon after. • Blend a few drops of coconut oil and olive oil together. • Carefully rub it onto the affected area. • Wait for a little while until the skin absorbs it in.